Monday, Apr. 15, 2019, 2 – 4 p.m. Professionals who possess emotional intelligence have the ability to be collaborative, empathetic, flexible and much more. With an open mind and a sense of play, emotional intelligence can be taught through improvisation exercises and activities. 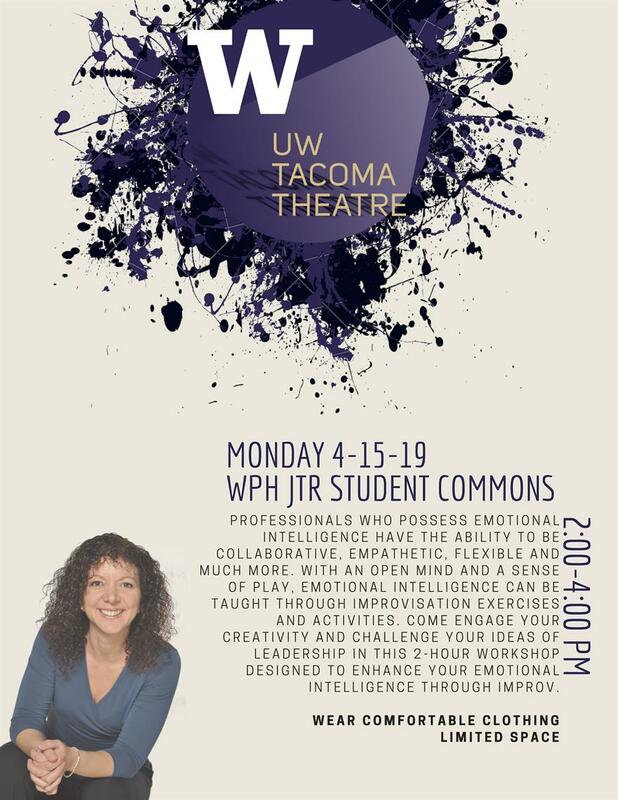 Come engage your creativity and challenge your ideas of leadership in this 2-hour workshop designed to enhance your emotional intelligence through improv. Wear comfortable clothing Limited space.